Dr. Ginger L. Pedersen, a native Floridian, grew up in South Florida among the palms and pines in Jupiter, Florida. Her interest in Florida history was sparked through her grandparent’s theme park Africa USA, a 1950s roadside attraction in Boca Raton, Florida. Dr. Pedersen is an administrator at Palm Beach State College in Lake Worth, Florida and holds a Doctoral degree in Educational Leadership from Florida Atlantic University, in addition to Masters and Bachelor’s degrees in Psychology. In 2012 she wrote, with co-author Janet M. DeVries, Pioneering Palm Beach: The Deweys and the South Florida Frontier. In this book she presents an incredible, inspiring story of pioneer life in early Palm Beach County that was hidden for more than a century. As a follow-up to that project, Pedersen republished Byrd Spilman Dewey’s books and articles so that these important works would be preserved and shared with a new generation. In 2015 Pedersen wrote Legendary Locals of West Palm Beach with Janet DeVries which profiles more than 100 influential people who helped shape West Palm Beach. Dr. Pedersen continues to research Palm Beach County history, specializing in pioneer history and the acquisition of historical documents, maps, and photographs for museums. She also provides presentations on Africa USA, pioneer history, and produced a documentary titled the Women Trailblazers of Palm Beach County for the community organization EmpowHer of the Palm Beaches. She serves on a local historic preservation board and conducts history tours throughout Palm Beach County. She is currently finishing research for several books, and writes a history blog at www.palmbeachpast.org. 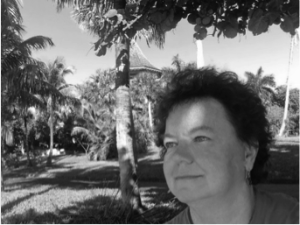 When not doing historical research or exploring spooky old houses, Janet M. DeVries loves being near or in the Atlantic Ocean and enjoys swimming, snorkeling, and boating. A permanent resident of Palm Beach County since 1987, the author and researcher is an Information professional and Archivist at the Palm Beach State College library and the Delray Beach Historical Society. She serves on the executive boards of the Society of Florida Archivists, the Palm Beach County Library Association, the Genealogical Society of Palm Beach County, and is the immediate Past President of the Boynton Beach Historical Society. She is author of Images of America: Sport Fishing in Palm Beach County and Vintage Postcard Series: Boynton Beach. She co-authored Images of America: Boynton Beach (with M. Randall Gill) and Vintage Postcard Series: Delray Beach (with Dorothy W. Patterson). 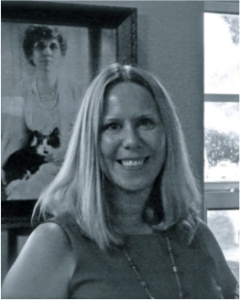 Her 2012 book, Pioneering Palm Beach: The Deweys and the South Florida Frontier, with Ginger L. Pedersen, brought to light the hidden history of Palm Beach County. Reviewers applauded the book as a welcome addition to the historical record. Her most recent publication, Legendary Locals of West Palm Beach, includes photographs and biographical sketches on over 100 of West Palm Beach’s local personalities spanning 12 decades.